With the world of technology evolving so quickly and wireless communication increasingly becoming the norm, you may be wondering whether a traditional wired home alarm system belongs in the history books and not in your home. There are pros and cons to each type of system, so before you shun older technology, let’s take a closer look at wired alarm systems versus wireless home alarm systems. You may be surprised at what you learn! Both systems comprise a network of sensors and a control panel and offer the same basic level of protection and security for your home, but they’re different in a number of ways. Firstly, hardwired systems have to be physically installed in a home. And unless the security system is built into the home during construction, that means holes have to be drilled into walls and cabling run between the various components to connect everything together – and of course, there’s always the patching up to do afterwards. Installation of a wireless system on the other hand, is simple and easy and doesn’t require any physical modification. The system is totally portable which is good news for renters and anyone moving home who wants to take their system with them. Another difference is that a wired system works off a landline whilst a wireless option uses WiFi to communicate. As we all know, WiFi can be susceptible to interference from extreme weather, lightning and physical barriers like walls and concrete slabs, so reliability is an important consideration. 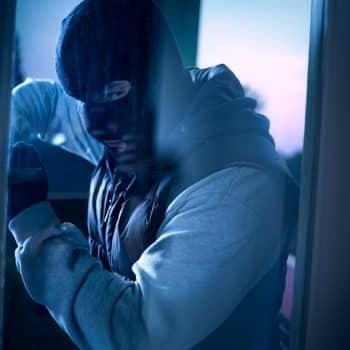 That said, a wired home alarm system relies on power, so it will be affected by outages and any criminal with malicious intent can disable the system by cutting off the supply. The need for a battery is another key difference between the two systems. Wireless systems depend on lithium batteries to stay connected – so the battery needs to be monitored regularly to ensure that it’s sufficiently charged for peak performance. As a general rule, installing a wired system in a new home will work out cheaper than a wireless one and because it has fewer security components, less maintenance is required. However, retro-fitting a wired system into an existing property probably isn’t the most cost-effective option whereas a wireless system can be installed quickly and easily, even in hard-to-reach areas. Some people even choose to install their wireless home alarm systems themselves, but it’s better to call in the professionals so you get peace-of-mind that all the components are in the best position, that there are no weak spots and that your security isn’t compromised in any way. Choosing an alarm system comes down to a number of factors including portability, reliability, flexibility, performance and installation but the good news is that you don’t have to decide between one or the other. It’s entirely possible to have a hybrid system which incorporates both hardwired and wireless components. For example, if you move into a home which has an existing hardwired system, you can easily add compatible wireless components like motion sensors and security cameras. Either way, you should speak to a home security expert who can make practical recommendations based on your security needs and your budget.